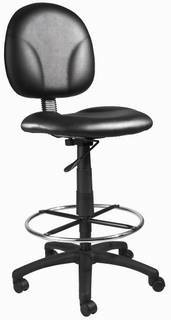 Contoured back and seat provides support and helps relieve back strain extra large cushion seat and back. Pneumatic seat height adjustment. Overall Size: 19.5″W x 25″D x 39″ – 44″H.